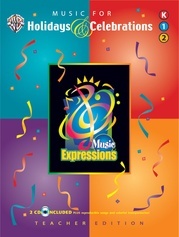 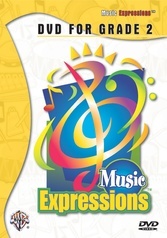 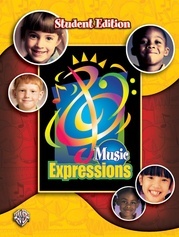 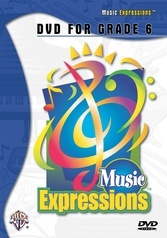 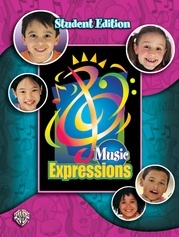 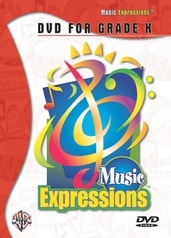 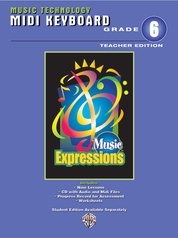 Music for Texas Heritage is an exciting supplement to the Music Expressions curriculum. 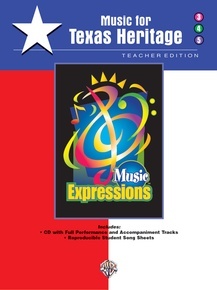 Designed to help students celebrate the music of the Lone Star State, this book provides interesting facts about each of the 16 songs that can promote discussions of the state's history, geography, and culture. 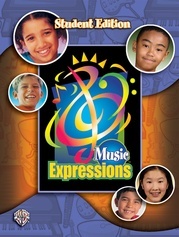 The lessons for each song teach music concepts required as part of the Texas Essential Knowledge and Skills (TEKS) for Grades 3-5. 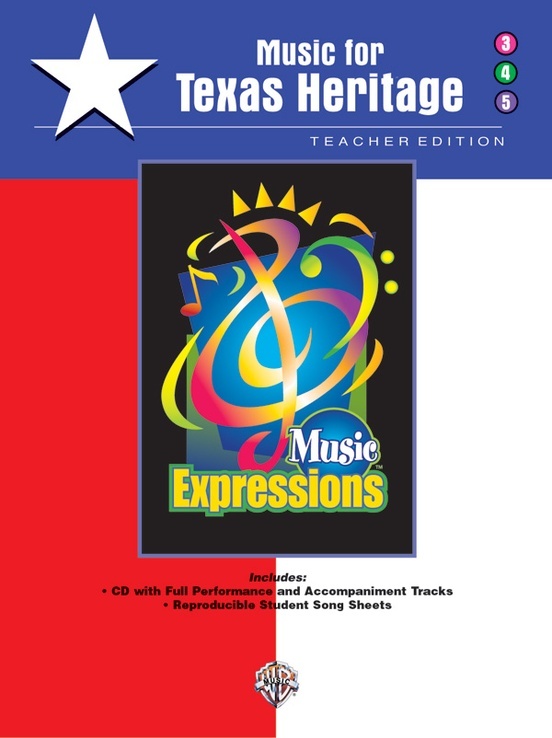 Music for Texas Heritage includes song stories and activities, reproducible student song sheets, piano accompaniments, an index of musical concepts and vocabulary, and a CD with full performance and accompaniment tracks. 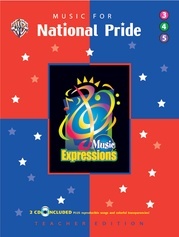 Songs include: The Alamo * Cielito Lindo * Cotton-Eyed Joe * De Colores * Don't Fence Me In * The Eyes of Texas Are Upon You * Giant (This Then Is Texas) * The Green Leaves of Summer * Home on the Range * I'm an Old Cowhand * Mockingbird * Red River Valley * The Rio Grande * The Streets of Laredo * Texas, Our Texas * The Yellow Rose of Texas.